Awesome on so Many Levels! 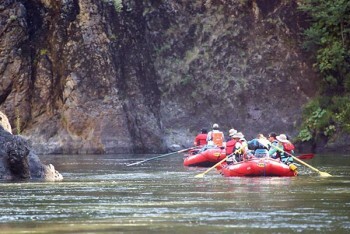 I have wanted to go down the Rogue River for as long as I can remember. 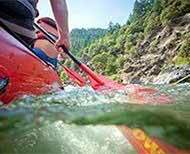 It is an iconic Western American river designated as Wild and Scenic. It lived up to my expectations in every way! I was looking for a trip my college-aged kids would enjoy as a "family vacation" and at the end, they agreed that this was one of the best vacations we've ever had. The river has some fun rapids, but nothing crazy. If you are looking solely for a wild ride, this isn't the trip for you. But the scenery is beautiful and we did so many other things that made the trip fun and interesting. There were hikes along the canyons and up the side creeks, jumping off rocks into the surprisingly warm (at least swimmable) river, and lots of history along the way. Being able to stay on historic lodges at night with a bed and warm shower is the only way to go! And I can't say enough about the hard working, professional, and fun-loving guides who lead our trip. They are first class! I have nothing but great things to say about our trip down the Rogue River.